This spring New Paths is thrilled to be presenting musical performances in historic and quirky venues throughout Beverley. 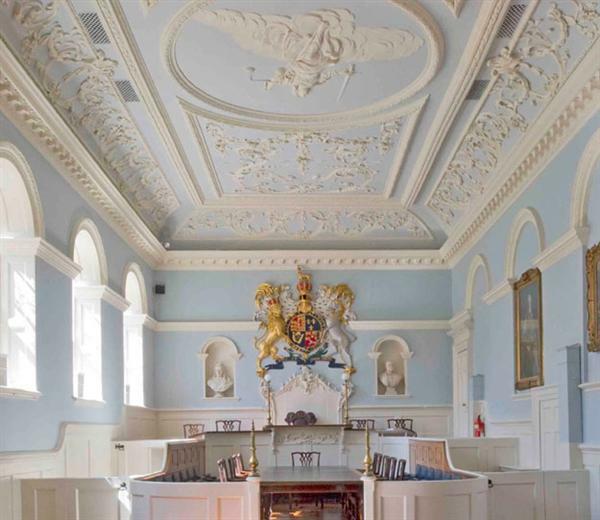 On Saturday 7th April – as part of our “musical takeover” of the town – we are proud to be celebrating one of the treasures of the Beverley; the magnificent eighteenth century courtroom of the Guildhall, adorned with its ornamental ceiling in the Rococo style by Guiseppe Cortese. The Guildhall will be open especially for the day from 10am until 3pm. 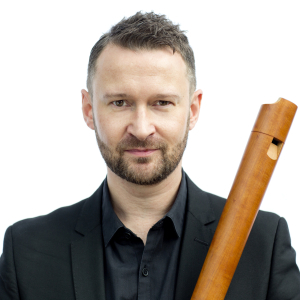 At 11am festival goers will be treated to a free pop-up performance by outstanding recorder player Ian Wilson. 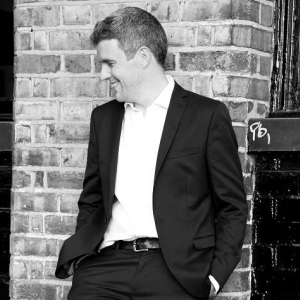 Ian will be joined by harpsichordist Christopher Bucknall for a performance of recorder sonatas by Handel. One of the most famous statues of a musician can be found in the British Galleries of the V&A. 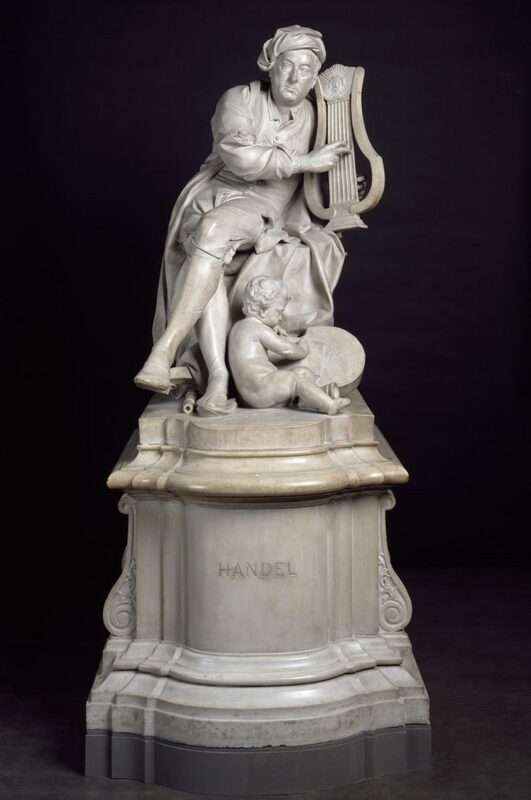 Roubiliac’s superb 1738 statue of Handel (pictured) is a masterpiece in the Rococo style. And so it is fitting that Ian and Christopher will be playing Handel in the Guildhall. But will their ornamentation be a match for the lavish decoration of the room? Come and find out! A flamboyant Rococo feast for the eyes and ears awaits you at the Guildhall in Beverley after Easter. New Paths is hugely grateful to the Museums Service of the East Riding of Yorkshire Council and the curator of the Guildhall, Fiona Jenkinson, for making this special event possible. For more information about the Guildhall see here.